The reason we used the name of our local community as part of our business name wasn’t because we were simply trying to capitalize on the redevelopment and attention it’s now finally getting after so many years of obvious shaming by the rest of the city, but it was because we simply love to live and work here so much! Thanks to the Oak Cliff Advocate reporter, Rachel Stone and photographer Kim Leeson, for a great article about how we got started! Read the full Oak Cliff Advocate article! Click on photo to learn about Grow South and see their full post about Brennen! 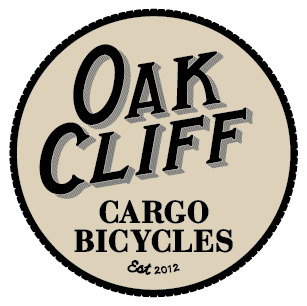 Previous Previous post: Cargo Bicycle Documentary: Less Car More Go! Next Next post: New frame colors inspired by Texas!